2016 BCM Municipality Mdantsane heroes’ award for young person of the year. Palesa holds a Bachelors of Commerce Degree in Marketing Management and is currently studying towards an Honours Degree in Business Management, she has a certificate in Numerical Skills for business and IT: End User Computer and a Diploma in Bookkeeping and accounting. 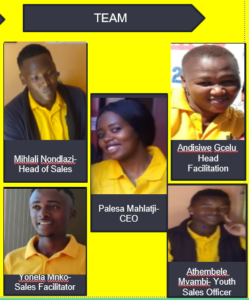 She has worked as an Administrative officer at the IT Department at Caxton Netcafe, then employed by ABSA bank where she worked as a Digital sales consultant and was awarded as the top sales consultant from 2012-2013. She was later employed by Standard Bank as a Customer Consultant for the front of house and later a Client Liaison Officer. In 2017 she was chosen as the only candidate from her province to be part of the Red Bull Amaphiko academy and was also part of the 15 young Social entrepreneurs in 2017 to be part of Ygap/spark international Accelerator programme. 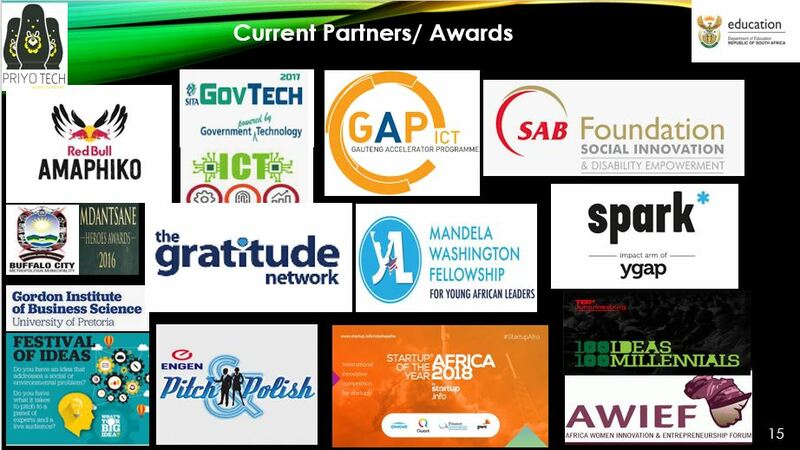 And in 2016 she was awarded with a heroes award for young person of the year and in 2017 she was awarded with the Youth in ICT Award, and the start up of the year PWC- Jury Award and 2018 Yali fellow. Andisiwe Gcelu -Sales Facilitator- Boasts of experience from working within the retail industry, she holds a senior certificate and a certificate in IT: End User computing. After completing her studies she grew passionate about helping other women such as herself to gain skills she now heads up the NU5 Rent office branch helping other women gain access to skills in technology that will make them creators of employment. Mihlali Nondzali- Sales Team Leader- holds a Diploma in Human Resources and Public Administration and has worked for the Department of education. He plays the role of integrating our programmes into different schools as he has working knowledge of working within the Department of Education system. 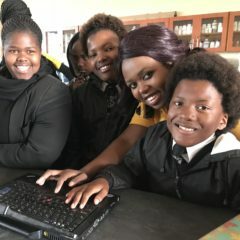 This has allowed Priyo Tech to have a wider reach and impact within the Eastern Cape. Yonela Mnko- Youth Officer-Former Priyo Tech in School youth alumni after completing his matric he wanted to work and support his family he holds a certificate in IT: End user computing he works at Priyo Tech as a Youth Sales Officer. He Uses his knowledge and influence on how to advocate our programme to other young people such as himself. Athemebele Mvambi-Public sales officer-His extrovert nature has allowed him to be part of many development projects such as the Love life, Mdantsane art centre and was the peer educator at school. His love of community allows him to execute his duties with ease while assisting Priyo Tech to actively promote its sales within the communities.